Welcome to High Twelve International, Inc.
High Twelve International’s founder, former minister, E. C. "Wallie" Wolcott, who was the YMCA’s General Secretary at the time and eight of his business associates who were also Master Masons, met in Sioux City, IA, for fellowship and camaraderie and chartered the first High Twelve International club. It was Founders #1, chartered May 17, 1921. "High Twelve is an organization of Master Masons who support Masonic causes with special emphasis on youth support and patriotic events. There are over 3,000 members in over 140 clubs nationwide and in foreign countries. High Twelve International affords valuable assistance to the Blue Lodges in whatever manner it is most needed. High Twelve International is Masonry in Action in the community where each Club holds its meetings and in the State where the several clubs are banded together in common purpose. High Twelvians adhere strictly to Masonic Law of that jurisdiction. High Twelve International’s clubs combine fellowship with helping others in their quality of life pursuits, particularly young adults and youth. 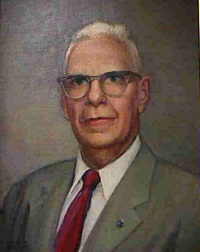 The club’s two philanthropic objectives are youth and education, strongly supporting the Order of DeMolay, Rainbow Girls, Job’s Daughters and the Wolcott Foundation that was established to provide scholarships for students at George Washington University who seek public service careers in government." An open invitation is extended to all Master Masons and their Ladies to visit a club in their area. Pennsylvania Grand Lodge A.F. & A.M.
See if you can find Winton Hewitt, PIP in the pictures from the link above. 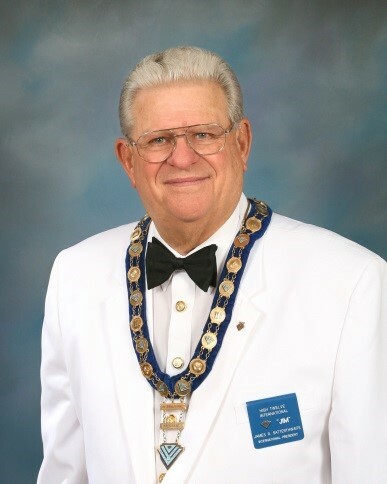 The International President's Club was formed for those Master Masons who would like to be a member but live in state where there are no clubs. The hope is this could spark some interest and hopefully charter a club. Additionally there have been some club closures where a few of the members still want to be a member. Any member of a closed club can transfer their membership at no cost. Members of this club will receive a membership certificate and dues card. They will also receive all electronic and USPS mailings. The dues for this club are $10.00 per year payable on May 1st of each year to remain in good standing. Effective 3/30/19 the access to certain pages that contain specific Association or Club contact information has been restricted to Members Only! There MUST be a email associated with your membership record for a member to be logged into the site. To log in the first time: in the upper right corner enter your email address and click on forgot password and an email will be sent to you to set a password. If an email is not association with your membership record send an email to secretary@high12.org to be added. We apologize for the inconvenience this may cause. they are located under the Wolcott tab above.